Art is something which can appear in so many different forms, even 8bit retro-style graphics or chiptunes are some sort of art, and especially now, 20-30 years after 8 bit arcade and console games were released, it can be tricky and interesting to create something in a style which was modern in the eighties. 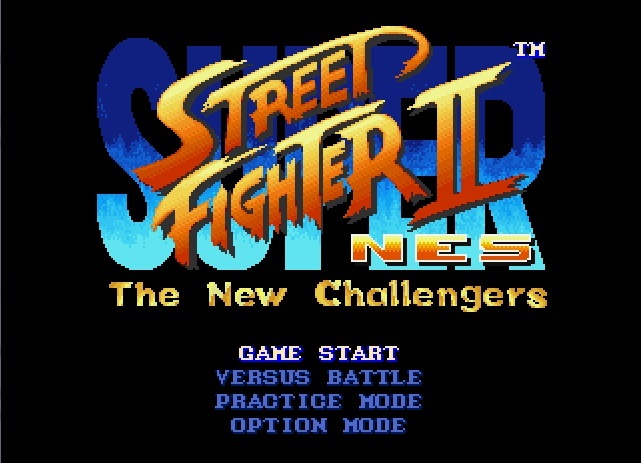 Street Fighter II was released in 1991 and ported to 16 bit consoles like the Super Nintendo and the Sega Mega Drive / Genesis. 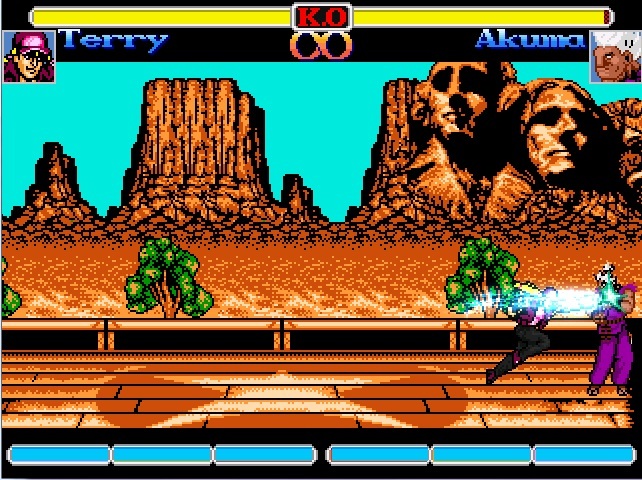 A small group of motivated and dedicated Street Fighter fans created a Street Fighter game with graphics in the typical NES style. 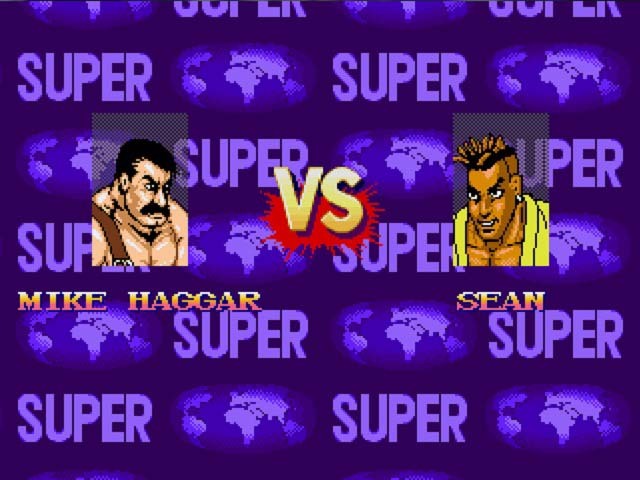 Interesting enough, they also added characters which appeared much later in the Street Fighter series (Sean from SF III), and a few bonus characters like Terry Bogard from SNK`s Fatal Fury / King of Fighter`s games and Mike Haggar from Final Fight. Shou Reppa! 16 Hit Combo!! 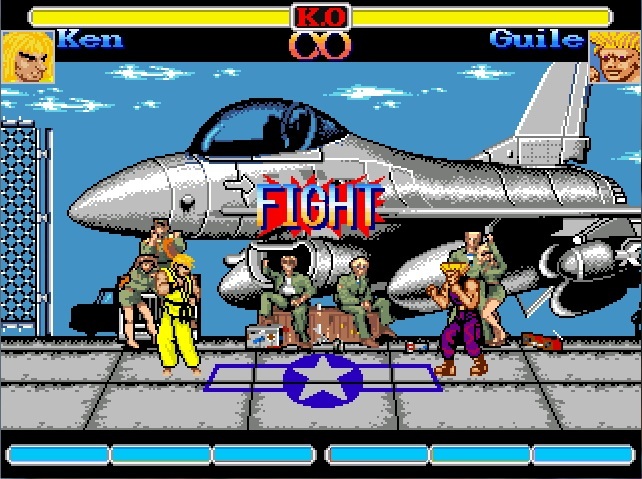 Definitive worth mentioning is also Sheng Long, which once just appeared in Ryu`s SF II winning sentence and was used by the EGM Magazine to spread a fake code and rumors that he would be a unlockable secret character in SF II. 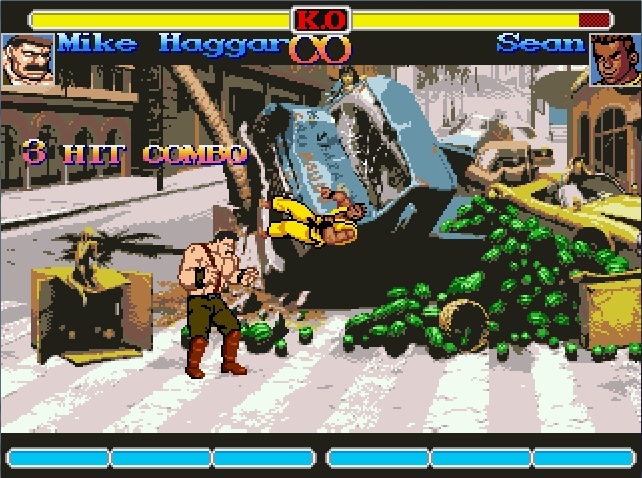 Well in SF II NES he is. 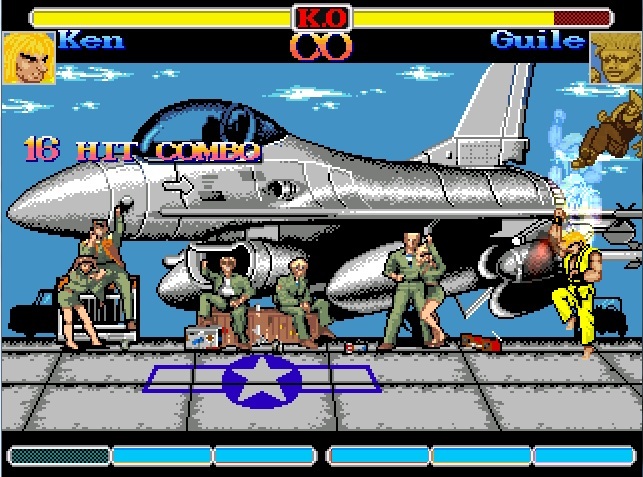 It should be mentioned though, that the music is mostly from the games like SF 2 & 3 and no own versions were made for the game. The sound effects are also from later games and dont sound like anything on theNES . Those would be some points to improve to make the game even more a 8bit style game if thats the intention. This project started in 2005 already, and since than it saw various demos, and updated versions with bugfixes, new characters, stages, music etc. The current version is 1.01, the most changes made from 1.0 to 1.01 were bugfixes and balance updates, it was announced that there will be other news about the game in a not too distant future, probably later this year.